Updated 1:03 a.m. | Posted 5 p.m. The Republican Party has taken control of the Minnesota House. 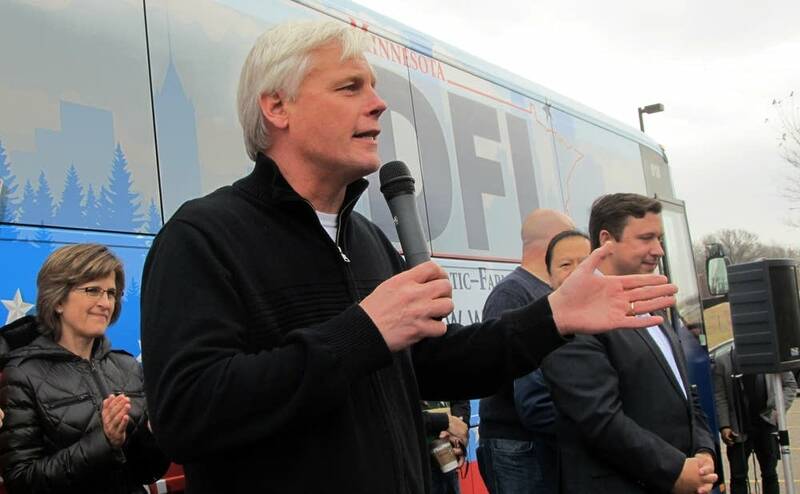 House Speaker Paul Thissen, DFL-Minneapolis, conceded early today that Democrats have lost control of the chamber. "We knew all along that it was going to be a very close race with millions and millions of dollars spent on these races," Thissen said. "I think a lot of the progress we had over the last two years put a lot of big corporate special interests at risk and they spent a lot of money to turn that around." Republicans needed to pick up seven seats to wrestle majority control away from Democrats. Their margin was still unclear early Wednesday morning. Much of the GOP focus was on the rural and suburban districts that it lost to the DFL two years ago. "I'm very proud to announce that we're putting an end to single-party DFL control in St. Paul," House Minority Leader Kurt Daudt said. 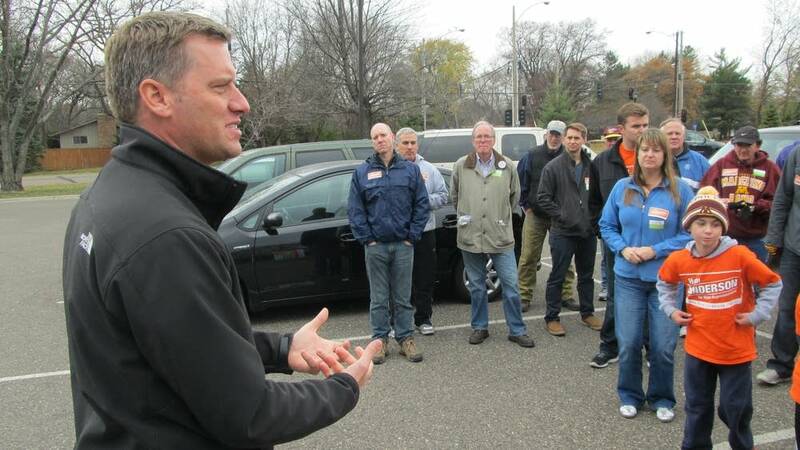 "A lot of these rural Democrats came to St. Paul and voted with the Minneapolis and St. Paul Democrats, and unfortunately they paid the price in their district," said Daudt, R-Crown. Although Republicans did not do as well in Twin Cities suburbs, they more than made up for that in outstate Minnesota. Voters outside the metro area apparently did not buy the Democrats' contention that, under their stewardship, both houses of the Legislature had made significant progress for the state. While the results were being tabulated, the prospects for a Republican takeover early on appeared uncertain as Democrats won in several key districts. Among them was a win by state Rep. Melissa Hortman in House District 36B. In House District 44B, the AP also projected Democrat Jon Applebaum the winner over Republican Ryan Rutzick. In District 42B, DFL Rep. Jason Isaacson defeated Republican Heidi Gunderson. But in House District 27A, Republican Peggy Bennett defeated DFL Rep. Shannon Savick. Republicans expected to do well in areas outside of the Twin Cities, where results were still being tabulated early Wednesday. Keith Downey, chair of the state Republican Party, said GOP candidates "really got the attention of Minnesota voters" in the past two weeks. During the campaign, Thissen reminded voters that without a DFL-controlled House, Dayton would not have been able to fund statewide initiatives such as all-day kindergarten or local economic development projects. Democratic candidates stressed an agenda that they contended would build on their accomplishments of the past two years. Republicans tried to convince voters that DFL control of the House, Senate and governor's office the past two years was bad for the state, and that more balance is needed. House GOP Minority Leader Kurt Daudt pointed to increased taxes under Democrats, higher spending, a $90 million Senate office building and problems associated with the state's new health insurance exchange, MNsure. Daudt said that if Republicans won the House they would prioritize transportation spending on roads and bridges and stabilize funding for nursing homes. He also has said they would help businesses grow jobs with lower taxes and fewer regulations.